When selecting a business valuation expert, it is important to consider an appraisers’ credentials and experience. A comparison of the primary business valuation designations is shown below. As you can see from the chart above, the ASA designation is often viewed as the premier designation for business valuation because of the significant experience, education and report review requirements. Estate of Joyce Hall, 92 T.C. 312, 336 (1989) Estate of Margaret Jann, T.C.M. 1990-333 CCH Dec. 46,692 (1990) Estate of Berg v. Commissioner, T.C.M. 1991-279, June 20, 1991 Laureys v. Commissioner, 92 T.C.M. 101, 126-129 Estate of Samuel J. LeFrak and Ethel LeFrak v. Commissioner, T.C.M. 1993-526, filed 11-16-93 Frymire-Brinati v. KPMG Peat Marwick, 3 F.3d 183 (7th Cir. 1993) Estate of Ray A. Ford, v. Commissioner, T.C.M. 1993-580, filed 12-8-93 Mad Auto Wrecking, Inc. v. Commissioner, No. 1950-94, T.C.M. 1995-153, filed 4-5-95 Pabst Brewing Company v. Commissioner, No. 18466-92 (USTCM) 1996-506 Furman v. Commissioner, Nos. 11568-96 – 11569-96, 1998 WL 209265 (U.S. Tax Court, 4-30-98) Andrew J. Whelan, et al. v. Tyler Abell, et al., USDC, Dist. of Columbia, Civil Action Nos. 87-442 & 87-1763 (SS) Dockery v. Commissioner, No. 14915-96, 1998 WL 120369 (U.S. Tax Court, March 19, 1998) In Re MED DIVERSIFIED, INC., 2005 Bankr. LEXIS 2236 (Bankr. E.D.N.Y. November 14, 2005). 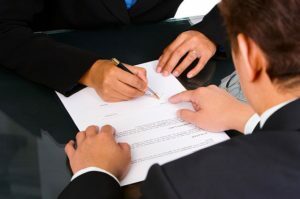 In general, the Court considers (i) the credentials of the appraiser, (ii) the experience of the appraiser (whether or not the appraiser performs business valuation on a full-time basis) (iii) whether or not the appraiser is independent in appearance and fact (not an advocate) and (iv) the training, education of the individual and their membership in various professional valuation organizations. The advice I always give to prospective clients (or their attorneys or CPA’s) is when selecting an appraiser be sure to use an individual with at least the ASA credential. It is the best way to make sure that the individual performing the valuation has received adequate training, has sufficient experience (a minimum of five years full-time) and that you will receive a high quality report (have passed an appraisal peer review requirement).